US brewer Anheuser-Busch has revealed a new design which will be seen on cans of Budweiser. The new look can will roll out of US breweries and into the hands of American beer drinkers this summer, before debuting in markets around the world later this year. Rexam, the global consumer packaging company, and leading Indian can maker Hindustan Tin Works will double production of beverage cans at their site in Taloja, close to Mumbai. A new high-speed beverage can manufacturing line will be built at the site. Apeal’s Steel for Packaging Summit will take place in Kosice, Slovakia, on September 20th 2011. Apeal (the Association of European Producers of Steel for Packaging) and US Steel Europe will co-host Steel for Packaging, Green solutions for Central Europe at the US Steel Europe plant in Kosice. The UK’s first cider to be packaged in aluminium bottles has been launched by Aston Manor. Aston Manor, the third largest cider producer in the UK, chose aluminium bottles because of their premium look and feel. Another of Ball Packaging Europe’s plants has achieved zero waste to landfill. John Griffiths AM, Welsh Government Minister for Environment and Sustainable Development, visited Ball’s can end facility in Deeside, UK, on Tuesday (26 July). The two largest used can making machinery dealers have joined forces to offer a one stop shop for can makers around the world. US based Container Fabrication Machinery (CFM) and MEM Holland have agreed to share technical knowledge, support and their available inventory to can makers. Can maker Crown Holdings has announced strong results for the second quarter, helped by strong demand in Europe and the Americas. For the second quarter, net income was £129 million compared with £112m for the same period in 2010. Indian can maker Hindustan Tin Works has won the IPA Innovation Award for its Canvironment Week initiative. The International Packaging Association (IPA) promotes the inherent material and environmental value of steel packaging. Ball Packaging Europe is helping Germany’s König Brewery celebrate the 100th anniversary of its König Pilsener premium brand with the introduction of its first 568ml can. 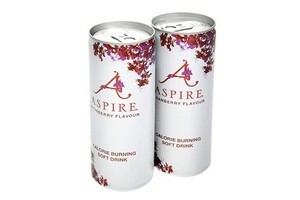 Slim aluminium cans from Rexam have been chosen as the package of choice for new calorie burning drink Aspire. Rexam Beverage Can Europe worked with CAAC Vienna to create an eye-catching can for new calorie burning drink Aspire, on behalf of Fahrenheit60. A pure water-based drink has been launched in cans made by Ball Corporation. New Age Beverage, which is based in Denver, has launched Just Pure Water in Colorado and Arizona in the US using 24oz cans. Ball has announced the launch of its newest can size – the 8oz trim can. The small, lightweight can is ideal for juices and other beverages for portion-conscious consumers, and is unbreakable, quick-chilling and 100% recyclable.